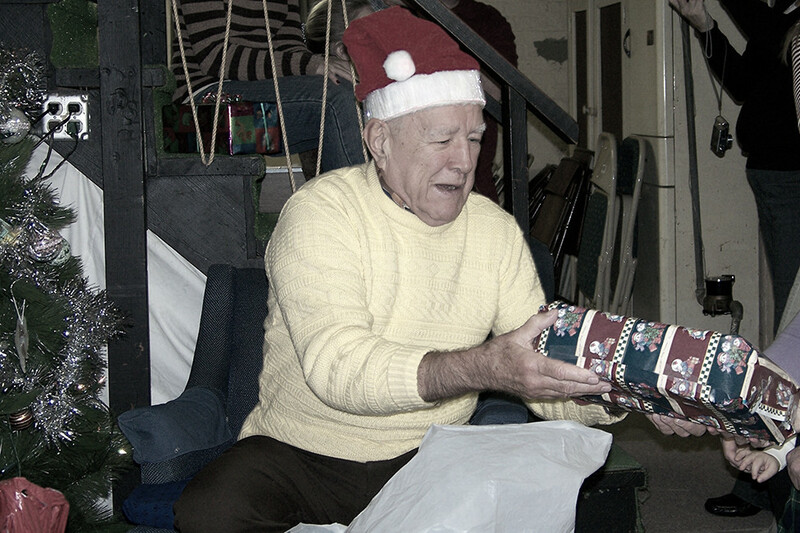 The editor's grandfather Allen Hosticka Sr. hands out Christmas gifts to all of his grandkids in his light-up Santa hat. My whole childhood, I remember my grandpa wearing a Santa hat that lit up around the bottom with flashing lights hidden in the white faux fur. Once he put the hat on, we grandkids knew it was present time. We’d all rush down to the basement where the stacks of gifts stood almost as tall as the little tree and wait for our names to be called. We weren’t allowed to open our gifts until every last one had been handed out, but then we all tore into them at once and the happiest kind of chaos ensued. If I could ask him now, I doubt he’d say he intended for that blinking hat to become a symbol of Christmas in the Hosticka house. But to me, it was a happy little holiday tradition, just like the countless loaves of authentic potica bread that my grandma made each year. As I think back on these little holiday habits, it makes me wonder what Christmas traditions I’ll create with my own kids some day. While it’s wonderful for traditions to form organically, there’s also fun in picking an activity and making it an annual event. Traditions don’t have a size requirement; if the family can enjoy together, that’s all that matters. Not sure where to start? Here are a few of my favorite Christmas activities in central Arkansas that I think are worth turning into a family tradition. I started taking piano lessons when I was only 3 and then played in band during my high school years, so going to see a concert brings back childhood memories. While some of the ASO’s concerts may be filled with unfamiliar music, their Christmas show is guaranteed to be packed with songs that everyone enjoys. Depending where in central Arkansas you live, there are several wonderful spots to wander or drive through glorious displays of lights. Head to Garvan Gardens in Hot Springs and walk a couple miles through the displays or drive over to Sherwood's Enchanted Forest Trail of Lights for a free, drive-through Christmas wonderland. Most churches in the area have special Christmas services, some meeting on Christmas Eve and others the weekend before Christmas. If you’re looking for something more interactive for the kids, check out the drive-through Nativity in Searcy at First Assembly of God.